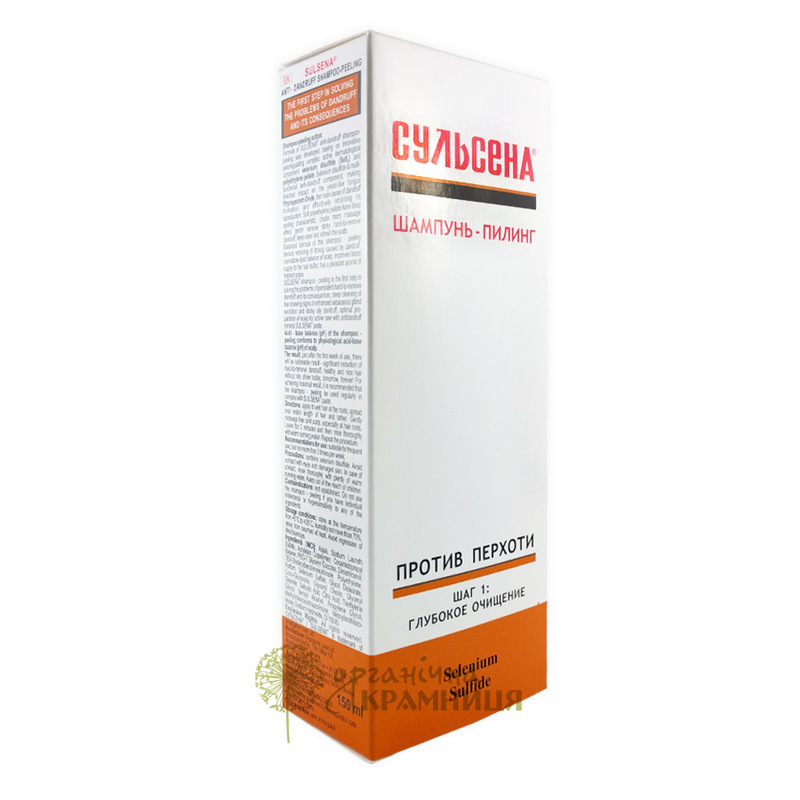 Ukrainian brand Sulsena presents anti-dandruff peeling shampoo. It is based on active dermatological ingredients such as selenium disulphide and tiny polyethylene granules. The shampoo has a light texture and a pleasant aroma of meadow herbs. It easily removes dirt, grime, excess sebum and styling product residue, eliminates dandruff, and turns your hair washing routine into a pleasure. Sulsena peeling shampoo helps to get rid of dandruff due to containing selenium disulphide. It is an antifungal agent that inhibits the growth of Pityrosporum ovale (Malassezia furfur), a fungus associated with seborrhoeic dermatitis and dandruff. This ingredient has a 3-in-1 effect: cytostatic (regulates epidermal cell renewal), fungicidal (eliminates fungi), and keratolytic (helps to get rid of dead skin cells). Alongside selenium disulphide, the shampoo contains polyethylene granules. They are responsible for its peeling effect. Polyethylene granules gently, but effectively remove sticky dandruff, dirt, grime and excess sebum, as well as stimulate microcirculation in the scalp. Sulsena anti-dandruff peeling shampoo normalizes sebum secretion and prevents oily scalp. It helps to keep your hair fresh for a long time, relieves itching, and makes the hair look clean and healthy. The product is suitable for frequent use, but no more than 3 times a week. It has no known contraindications or side effects, but it shouldn’t be used in case of individual intolerance or hypersensitivity to any of the ingredients. Avoid contact with eyes or damaged skin. In case of contact, rinse thoroughly with plenty of warm running water. Directions. Apply to wet hair at the roots, spread along the entire length, lather. Gently massage the scalp at hair roots, leave the shampoo for 3 minutes, then rinse it thoroughly with warm running water. Repeat if necessary. Ingredients. Aqua, Sodium Laureth Sulfate, Acrylates Copolymer, Cocamidopropyl Betaine, PEG-7 Glyceryl Cocoate, Dimethiconol, TEA-Dodecylbenzenesulfonate, Polyethylene, Parfum, Selenium Sulfide, Glycol Distearate, Coco-Glucoside, Glyceryl Oleate, Glyceryl Stearate, Salicylic Acid, Citric Acid, Triethylene Glycol, Benzyl Alcohol, Propylene Glycol, Methylchloroisothiazolinone, Methylisothiazolinone, Sodium Hydroxide, CI 15510. Want to buy Anti-dandruff Peeling Shampoo? Call us or submit your order via our web site! I don't have dandruff but I do have a very oily scalp, which is absolutely terrible. I have to wash my hair every day and I can't even use dry shampoos because they mix with oil and create icky buildup. This shampoo is a salvation! It helps get rid of buildup and keeps it from forming again. And it seems to be keeping my oily scalp in check. I still wash my hair daily, but at least it doesn't look greasy at the end of the day. However, I use this shampoo once or twice a week and wash my hair with a regular shampoo the rest of the time because this shampoo contains an anti-fungal agent and I'm not sure if it's safe to use daily.